Welcome to BlueCoast Realty, the best place to search for Wilmington, NC homes and real estate. Our advanced home search allows you to view Wilmington, NC homes by map, zip code, community, property type, MLS number and more. Start searching homes for sale in Wilmington, NC and save your favorites. Once you find "the one" you'll be able to view photo galleries, property details, street views and more. And, if you are selling our unique seller services ensure your home is sold quickly and for top dollar. Wilmington, North Carolina offers an abundance of incredible communities for every lifestyle. Two of the premier communities in Wilmington are Landfall and Porters Neck Plantation. Both offer beautiful country club living, diverse home styles and some of the most beautiful houses for sale in Wilmington NC. And, many are discovering Brunswick Forest and St James Plantation, two communities which offer considerable value just over the Cape Fear Memorial bridge. Some other master planned communities that are worthy of attention are Magnolia Greens and Waterford of the Carolinas due to their convenience and home value. If you are searching for condos or townhouses, Wilmington maintains a number of impressive condo and townhome communities. 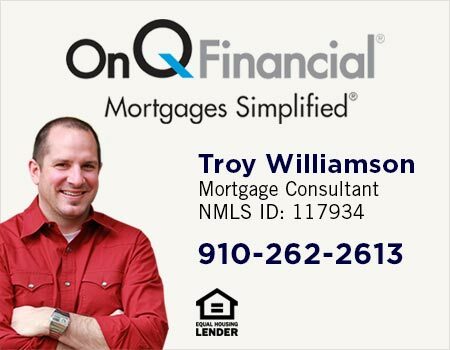 And, for the bargain hunters searching foreclosures in Wilmington, NC, you will find a number of foreclosed homes to choose from. If you would like a personal tour of any of the homes or communities in the Wilmington area please contact us. When you’re in the midst of searching houses for sale in Wilmington, NC be sure to download our mobile app. If you are driving around it shows the closest homes for sale to give you a better understanding of the area. And, if you'd like to explore the Wilmington area by interactive map just click here to find the houses and real estate that make Wilmington, NC truly unique. View the most recent listings below or click search to see ALL Wilmington, NC homes for sale.